The BOUNCE program at UH helps adolescents get involved in fun runs and other physical activity to support healthy living. 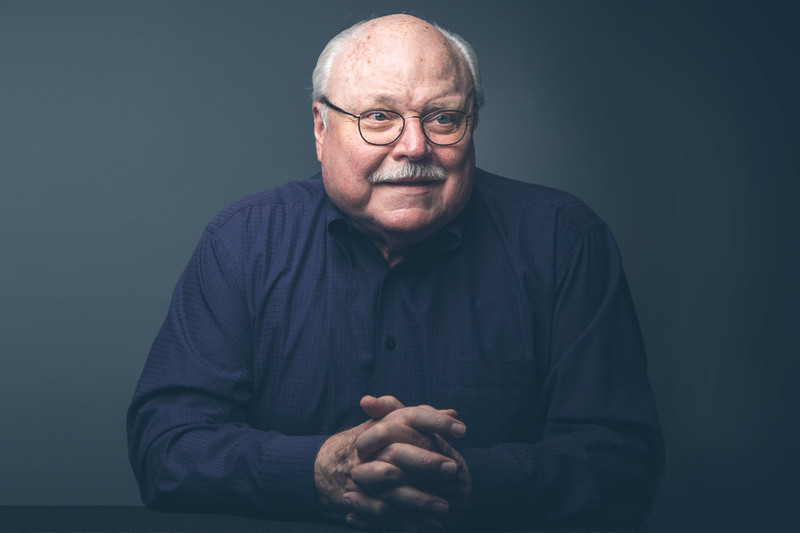 By the time someone gets to Hamilton’s lab, obesity and inactivity are often a family legacy reaching back for generations. Halfway across the UH campus, Norma Olvera works to break the cycle. Olvera, professor of health education, health and learning sciences in the College of Education, started the Latino Health Disparities Lab in 2013, almost 10 years after launching her best-known project, a program that targets overweight adolescent children, usually girls, with an accompanying program for parents. Rates of childhood obesity were rising, with the largest gains among Hispanic children. About 17 percent of school-age children are considered obese, but that rises to 22 percent for Hispanics and 19.5 percent for African-American children. People who move to the United States from Mexico or other countries quickly adopt the eating habits of their new homes, along with the accompanying weight gain. Olvera had worked with internationally known obesity researcher John Foreyt as a graduate student at the Baylor College of Medicine; once she joined the UH faculty, she taught a class on childhood obesity, re-kindling her interest in the role parents play in the issue. BOUNCE, or Behavior Opportunities Uniting Nutrition, Counseling and Exercise, focuses on developing healthy lifestyles at an early age, with year-round, summer and after-school programs for black or Hispanic youth. The programs include parents with events to teach healthy cooking, grocery shopping, exercise and other skills. Programs offered in the Houston and Pasadena school districts extend the concept, focusing on healthy food choices for fourth and fifth graders. This year’s programs, funded through the United Health Foundation grant, involve 125 African-American children between 9 and 14 and their families. Most children lose between four and 16 pounds over the four-week program. That’s plenty, Olvera said, because they are still growing. Some don’t lose any weight. A few gain. Olvera, a fellow of The Obesity Society, is after long-term results, and her research has shown that childhood obesity is about much more than food. A 2015 study published in the Journal of Early Adolescence reported that obese adolescent girls developed unhealthy eating habits in response to teasing and bullying – 12 percent of girls said they engaged in binge eating, followed by forced vomiting, in the quest to lose weight. Smoking cessation efforts are similar – it’s not just about cigarettes. Lorraine Reitzel, an associate professor in the UH College of Education who co-directs the HEALTH Research Institute, laments that far too many people dismiss smoking as a minor health concern. According to the U.S. Centers for Disease Control and Prevention, smoking is the leading preventable cause of death in the United States, responsible for more than 480,000 deaths a year – or 1,300 a day. One of Reitzel’s major projects focuses on tobacco use among people with mental illness or intellectual disabilities – and the workers who assist them. Reitzel and her team have joined with Bill Wilson, director of clinical research at Integral Care of Travis County, for an initiative called Taking Texas Tobacco Free. They work with mental health agencies across the state to become tobacco-free workplaces, providing training on effective strategies for implementing no-smoking policies and helping people quit. A grant from the Cancer Prevention & Research Institute of Texas funds the work. Reitzel, a clinical psychologist who also directs the Social Determinants and Health Disparities Lab at UH, instructs providers on motivational interviewing, a technique used to spur behavioral changes. Since the start of the project in 2013, 4,600 staff members have been trained and more than 118,000 tobacco-use assessments have been conducted, with effective treatments provided to clients willing to quit. “We’ve been able to bridge that research-to-practice gap,” said Reitzel, whose parents both died from smoking-related diseases. Deborah Shedric, a supervisor at Spindletop Center, a participating agency in Beaumont, 85 miles east of Houston, recalled several clients who quit smoking thanks to the initiative. “We didn’t take their cigarettes away. We gave them an option,” Shedric said. Then they celebrated their successes, buying bicycles or going to the beauty shop with money saved by not buying cigarettes. Brian Nwokorie created the Open Airways project as a third-year pharmacy student, helping children learn to control their asthma. Kids at Walnut Bend Elementary School on Houston’s far west side learned something else about cigarettes last spring – cigarette smoke can be a potent trigger for asthma. A dozen kids, from pre-kindergarten through fourth grade, filed into a conference room after lunch, and the questions began. 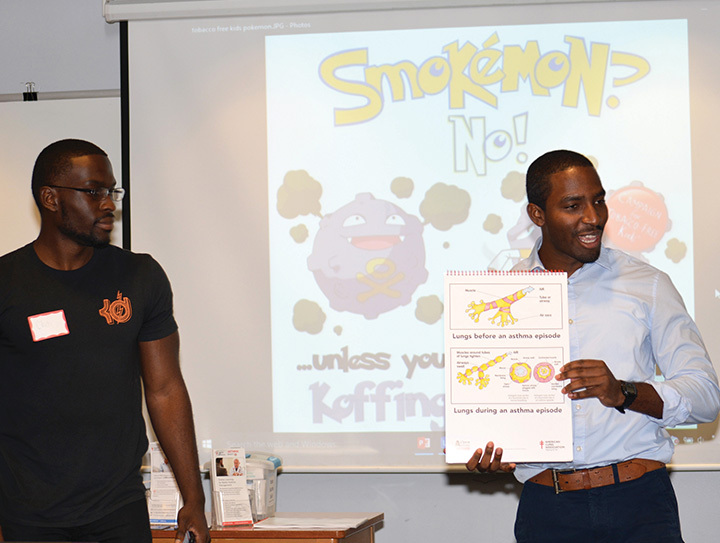 “What did we learn last week?” asked Brian Nwokorie, a third-year UH pharmacy student who created the Open Airway project with the American Lung Association. “Triggers,” a third grader called out. The children listed potential causes of an asthma attack: flowers, dogs, cats, dust, running, pushups. What do they do when an asthma episode begins? asked Gifty Gyebi, another third-year pharmacy student who worked with Nwokorie on the program, which has spread to a second elementary school and also involves pharmacy students from Texas Southern University. The UH College of Pharmacy requires students to work in the community, building their comfort in working with patients. But no one made Nwokorie join with the American Lung Association and the public schools to target a serious public health risk. That came after a trip to Nigeria, where his family is from. He was struck by how the pollution there worsened children’s respiratory symptoms. More than 617,000 Texas children have asthma, with low-income and minority children far more likely to suffer from the chronic respiratory disease. Even as childhood asthma rates appear to be flat nationally — or maybe even declining — large racial and ethnic disparities still exist. People living in poverty are also more likely to be diagnosed with asthma. In a study funded by the Houston Endowment, researchers found that children in the Houston area with public insurance, often used as a proxy for poverty, were 21 percent more likely to have asthma than children with private insurance. The program targets children with uncontrolled asthma. Although school nurse Cynthia Tanner already had an active education program for children and their families, she said the UH program has made children more independent. “It has made the children much more aware, and their parents more aware, of how important it is to pay attention to their symptoms,” she said. School nurses are the front line of public health for many children. For the rest of us, it is often a pharmacist.